Lily McKenzie and Giggs drop off this unexpected collaboration right into our laps, one that we inevitably didn't see coming. The lead single ‘Support Machine’ bares the same name as her debut EP is a heavily influenced piano number, with a modest amount of garage and electronic addition to the song. Giggs' unique tone brings a hollow and airy feel to the song, complimenting McKenzie's edgy but soulful vocals; lifting the songs ambiance. Lily McKenzie's first single released from the EP ‘Where I Belong’ is available now for free download alongside a Funkystepz remix. 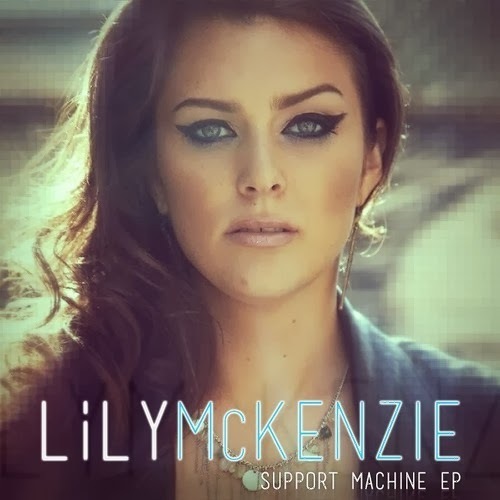 Her debut EP ‘Support Machine’ is released 30 March 2014.